Hi there. My name is Mike Sosteric. I am a sociologist in the Faculty of Humanity and Social Sciences, Athabasca University. I teach and coordinate several of the University's Sociology courses (including our introductory courses, our statistics course, and advanced study and reading courses. I am available for reading and individualized study classes in any of my areas of interest. For full text of my academic papers. You cannot talk about human potential and human transformation without talking about money and the economy. Without sufficient money, there is no way for an individual to actualize their potential. Unfortunately, our current global economy is one where unfettered accumulation ensures the vast majority live without the resources required to live a full and transformative life. 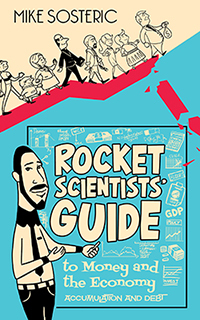 I examine our current global economic system, the cyclic global economic crises which regularly ensue, and the pain and suffering involved, in my book, Rocket Scientists' Guide to Money and the Economy. I also provide an educational video entitled Money Moksha to go along with the book. The video stars an animated Donald Trump, and has a cameo by Daryl Dixon. In the video, I explore how toxic addiction to money it is destroying our lives, and this world. Education is a critical component of human potential and human transformation. Whatever your faith or belief, it is only through education that we come to understand and realize our full human potential. It is only through education (engineering, psychology, sociology, etc.) that we transform the world. I believe education is a human right and my philosophy with regards science and education is straight forward and simple. I believe scientists and educators have a responsibility to be communicators. Whether we teach courses, write scholarly articles, create books, or produce educational multimedia, our goal must be to communicate. This is especially true when it comes to complex human phenomenon like social class, spirituality, or money. 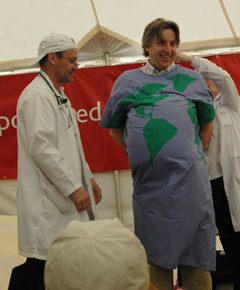 If we hide our knowledge and insight behind turgid prose and complicated EPMO, if we communicate only to a handful of specialists around the world, we have failed as scientists, educators, and human beings. As educators and scientists we try harder, both individually and as a group, to reach out directly, to share our knowledge and insight with the world. We can’t leave it to Hollywood or the media. As scientists and scholars, we have to get involved.